As a stylist, I am always on the lookout for objects that are distinctive and alluring— which is why I adore all things handmade. 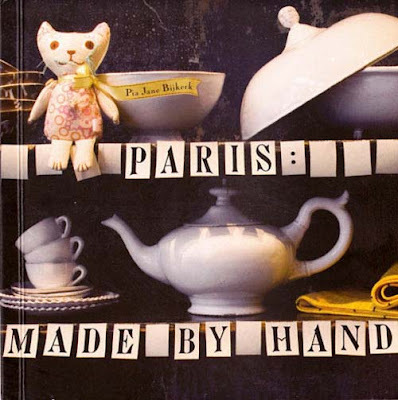 And Paris just happens to be a rather wonderful place to find the things I adore… Paris: Made by Hand is an insider’s look at the city’s artisans, createurs, and crafts boutiques. You’ll discover some ateliers that have been around for hundreds of years (many of which are tucked into the oldest of passages or hidden courtyards), and others that have just surfaced. Between the pages of this guide you can expect to find papermakers, shoemakers, jewelry designers, milliners, umbrella makers, dressmakers, ceramicists, and more: all of them from my private little black book, and all of them right in the heart of the city. Among them you’ll discover an exquisite, century-old haberdashery that I go to when I need ribbon and silk from a bygone era, and a boutique, in the hub of Le Marais, that is the place for finding new handcrafted designer housewares.